Crop protection is a vital part of growing quality and ensuring good yields in any crop. It is necessary to provide farmers with products, experience and insights into solving the challenges faced in crop protection and plant health management. These insights would typically include the “right product or program” applied with the “right equipment” at the “right timing” considering the cost to benefit ratio at all times. The optimal performance of agricultural inputs relies as much on precision decision making as on quality products. The average grain farmer makes around 40 key decisions during any crop-growing season. These would typically include decisions around crop rotation, seed variety selections, crop nutrient requirements, equipment use or maintenance, financial modelling and budgets, cost benefit analysis, labour relations, application of crop protection products, which crop chemicals to use and many more. Wrong and uninformed decisions can be disastrous. A successful farmer typically surrounds themselves with partners that assist in making these decisions. At Villa, we are proud to work on a programme called “Answer Plot®”, a collection of trial sites across the country where we aim to demonstrate our solutions to local weed, pests or disease problems. In collaboration with our USA partner, Winfield United, we aim to bring up-to-date innovation and technology, training and education to our customers using these Answer Plots®. Answer Plot® sessions are unique in the industry. Think of these as living laboratories, where we plant and test different crop varieties and then evaluate crop protection and plant nutrition technologies by collecting a multitude of data each year. The Answer Plot® team gathers data and insights to help enhance agronomic expertise and provide credible facts for farmers using similar conditions. 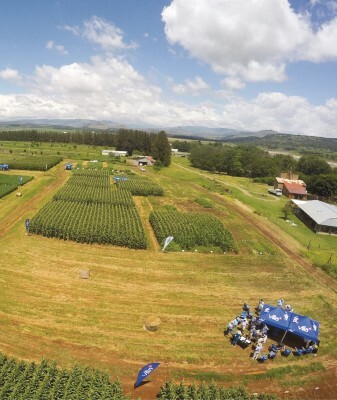 An Answer Plot® event is designed around technology and innovation themes. Providing even more value, Answer Plot® events are held at different points throughout the growing season to serve as a “show and tell” experience for retailers and farmers. Whether it’s digging and analysing roots, looking for insects or diseases, or standing back and noticing an overall different appearance between two treatments, these demonstrations provide an outdoor classroom opportunity to gain your trust with Villa and Winfield United products and insights. More than 800 farmers, agronomists, consultants and partners attended Answer Plot® events during the previous summer season in both the Southern and the Northern region. In the Southern region, we hosted a session at Oakdale Landbouskool in Riversdal, followed by a session at Boland Landbouskool in the Swartland on wheat, barley and canola. 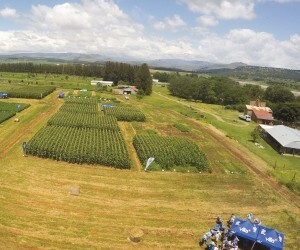 In the Northern regions of the country we hosted Answer Plot® events in the Winterton area in the Kwa-Zulu Natal, followed by an Answer Plot® event in the Eastern Highveld in Morgenzon and finally a session in Lichtenburg in the North West focussing on maize and soybeans. These events create opportunities for farmers and agents to discuss relevant issues facing farming. The Villa Answer plot™ program provided the platform to gain, share and GROW KNOWLEDGE. Villa’s next Answer Plot® models will be present at this year’s Swartland Show in Moorreesburg and the Cape area’s first Nampo Show in Bredasdorp in September. This year we have a few station topics to choose from at the Cape Answer Plot® events. events@villacrop.co.za to find out more or to register.